The management team at J.B. 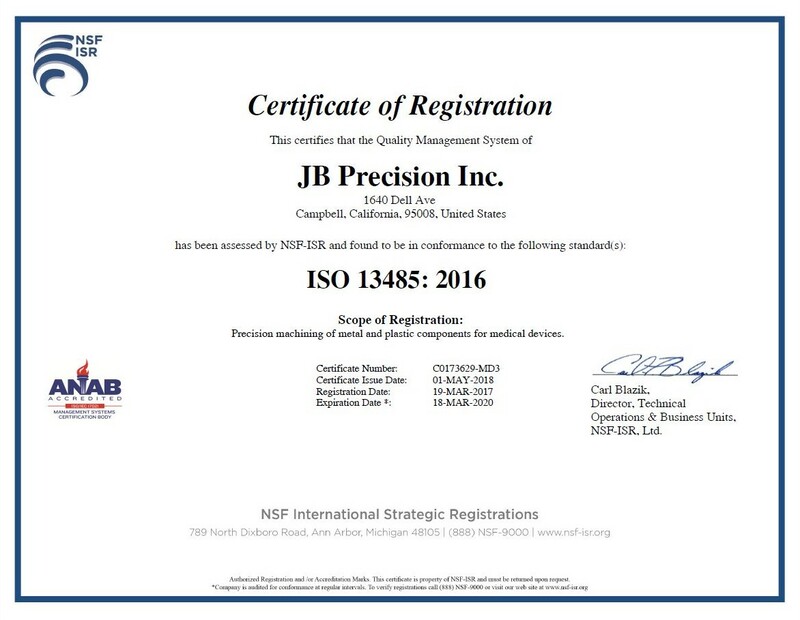 Precision, Inc. believes in proactively supporting continuous improvement and consistently trains all employees to achieve this goal. As a team, we will continuously improve products, services, and processes to meet the needs of our clients. J.B. 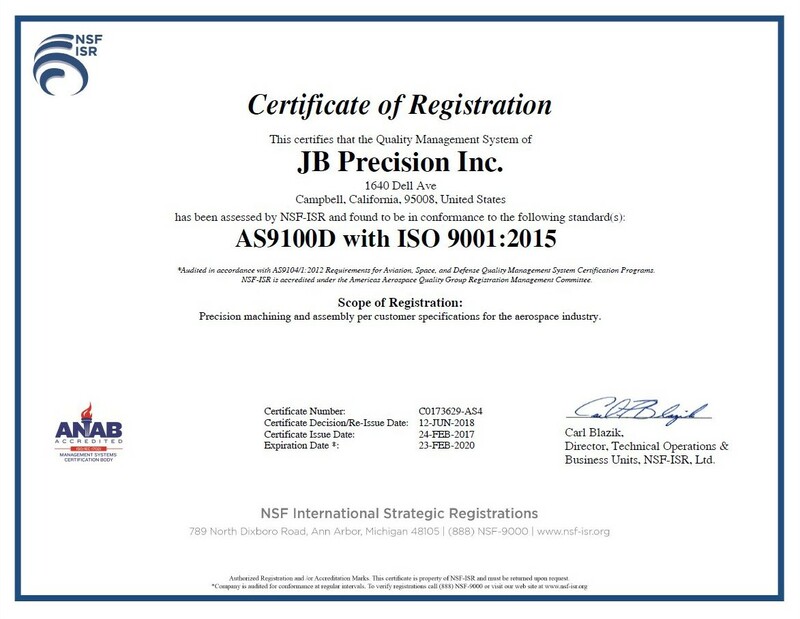 Precision, Inc.. Management is committed to this policy and will provide leadership, resources, and training to support and remain AS9100D with ISO 9001:2015, and ISO 13485:2016 certified.